This beauty has a dark brown oily wrapper with a three inch fuse. I had some fun with it and lite the fuse and let it introduce the aromas which reminded me of gingerbread baking with a hint of vanilla and sandwood. This is a wonderful aroma. I diffused the stick by twisting off the last inch no need to cut this one. This is the perfect starter for this cigar it's feels like it was meant to be smoked that way. It gives you a second hand opportunity to smell the smoke. White pepper blast and a burn in the nose. Tobacco flavor coats the tongue with a nutty finish and the vanilla first experienced comes through the scent. Sweetness on the lips develop with an oak flavor finish. Full flavor and strength finish takes on a semisweet chocolate flavor that sticks with you. Burn is razor sharp. Some dark fruit develops. Then out of left field an unusual savory flavor, almost a raw spice, I have never tasted that before in any cigar. It catches me off guard. Power dials down to a medium- full flavors and are hard to pinpoint. I'm still thrown off from the raw spice flavor. Cigar comes back around so I will chalk it up to user experiance. Leather comes in and I start to settle down. Leather continues and I must admit I'm waiting for this to go off again with some unusual flavor like I experienced in the first third. Tobacco and leather continue through the first inch of the second third. Sweetness comes in through the retrohale and nutty flavor returns. 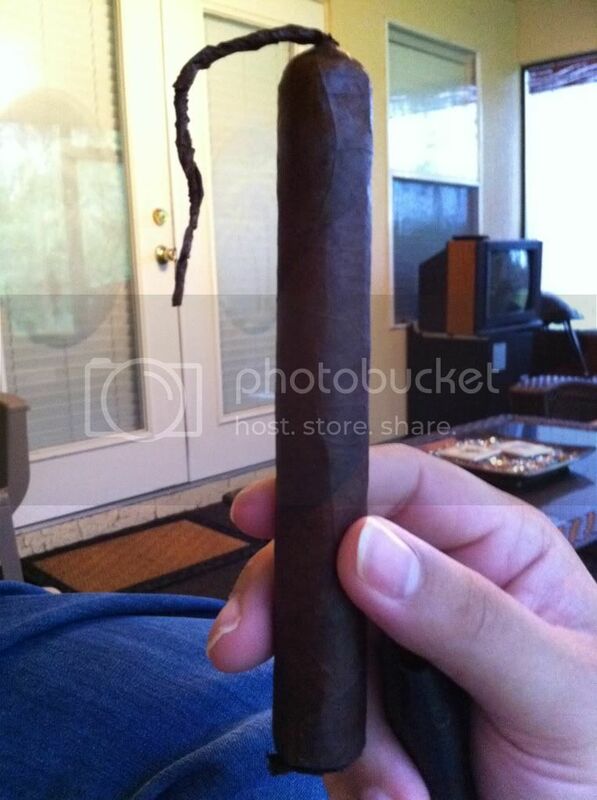 This cigar is well rolled and burn could not be straighter. Cinnamon comes in now which makes it nice again. Gingerbread steps in. Opens with more leather and tobacco flavors. What little changes come as quickly as it goes. They are in retrohale only and comes one with one puff so it doesn't remain. 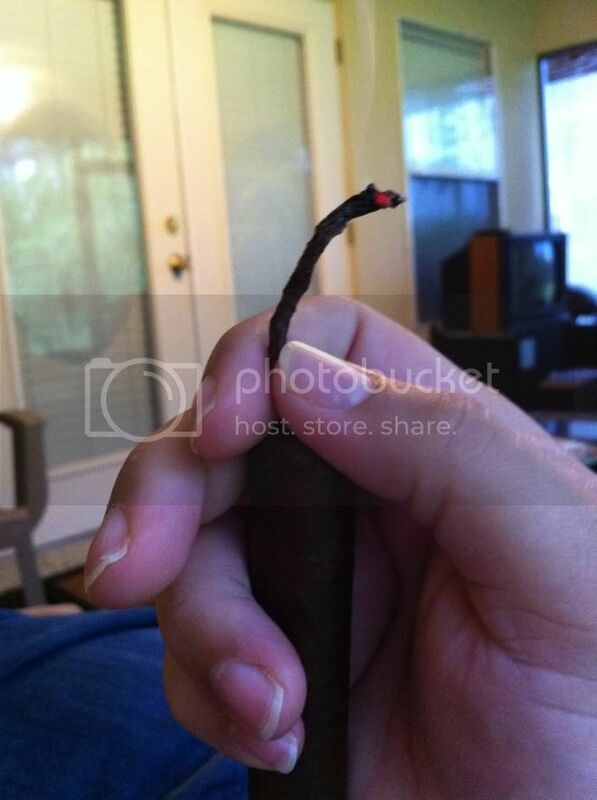 Not much else develops cigar sticks with leather and tobacco. I want more but end disappointed. I wanted to like this cigar, heck even love it. I hope these age well and provide more. It doesn't maintain any of the interesting flavors except leather and tobacco. Reminds me of a T52 with the weird flavors. This is not what I expected and it is rather discouraging. It is a beauty to behold but this stick of TNT is a dud. Another great review brother! Makes me glad I only bought the one sampler that had all 6. I fear viaje is more a marketing strategy than a great cigar, I mean what better way to sell all your duds than to make them such limited realease items that they're sold out before word gets out. Some of their stuff is stellar but seems you have to buy a bit of junk just to get a chance at the good ones. Thanks, let me know what you think. I could have been off that evening.